Click the button below to add the Under Cabinet Cookbook Holder to your wish list. Bottom of cookbook holder drops 7-1/2" from cabinet. 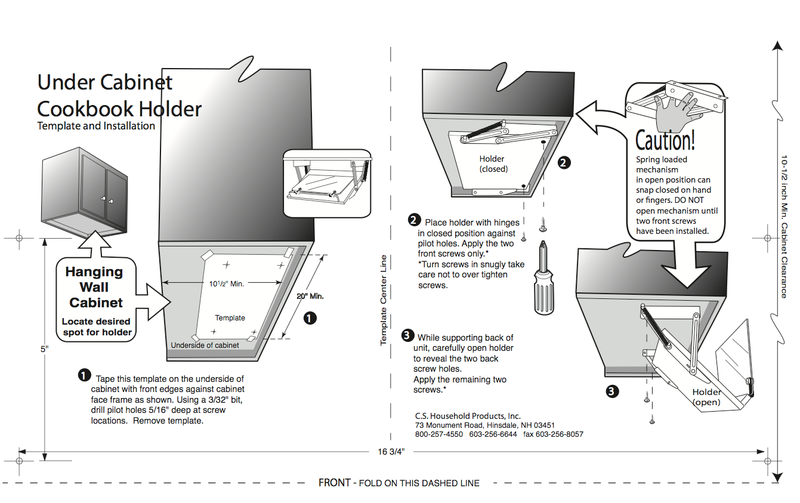 The cookbook holder requires a minimum depth of 10-1/2" and a minimum width of 20". Textured Acrylic Counter Protector 14" X 19"